With Christmas fast approaching, wouldn't it be nice to have something new for the festive season? Our free to enter competition (open to all readers of these Infomails) could be the answer! A massive thank you to our AMPdj supporters who have provided some excellent prizes for us to give away; Citronic, Prolight, UltraMixer and CD Pool. The Beamtastic does what it says on the tin! It is, in effect, four scanners in one, creating fantastic beams of light. This mighty scanner has four powerful ten watt LEDs (RGBW). It has a responsive sound to light function that can run independently on auto. The pre-set programs utilise changing colour and beam angles to create a host of different effects and patterns which gives the impression of a much larger light. With a touch button led display, it has a full DMX function. The beams are not only incredibly bright, they have a very wide sweep creating a great room filler. See the full effect here. If you are looking for an exciting centre piece for your show that gives a night club feel to any party, this is the light to get. 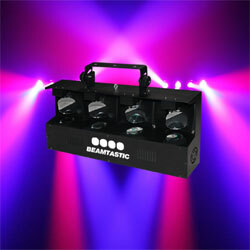 One lucky winner will receive the Beamtastic just in time for their Christmas party season. You've heard of Little Mix....now introducing Mini Mix2! 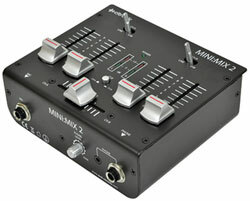 From the reputable Citronic stable, the Mini Mix2 is a two channel mixer with a separate mic control. With two separate input channels via RCA and USB, you can source music from either CD or laptop, or both. Output is via RCA. The headphones socket (both mini and full size) has an independent volume control. The faders are large and chunky with a smooth action. Measuring only 15x13cm and weighing less than a bag of sugar, you could be excused for dismissing this as 'not an essential bit of kit for a pro DJ' or 'ideal for a youngster in his bedroom'. Here at AMPdj we totally disagree with those lines of thought. Being small and light, it can be tucked in a bag and carried into a venue as back up equipment. If you've ever needed to revert to a back-up mixer, you'll have probably experienced the difficulties in where to put it and the time taken to set it up. This mighty midget solves both of those problems. It also has another role to play. How many times have you needed to provide a small discreet set up for a ceremony, background music in a separate room or an occasional PA? Armed with only a laptop, powered speaker and the Mini Mix2 plus a small bag of cables, you could walk into a room and set up in minutes. We have one Mini Mix2 to give away to a lucky winner. 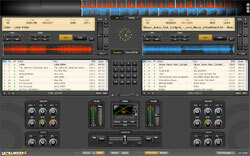 UltraMixer is a relatively new DJ program on the UK market. The German based company made its debut at this year's BPM Show although it is already widely recognised and used throughout Europe. On first opening this program, it appears uncluttered and simplistic. Don't be misled into thinking it doesn't have all the bells and whistles that other DJ programs boast. It is fully customisable so that you can choose which features you want visible. In fact, you can personalise the skin completely down to font size and colour of wave form. Many of the customisable features can be accessed from right clicking on the actual function such as the BPM or the 'Cue' button. It does, however, have some unique features. The first little gem is the notepad function. A fully editable notepad can be visible on the screen. Instead of having numerous sticky notes cluttering up your workspace, you can type information such as song requests, time for the buffet or a shout out for Uncle Jim on the notepad. Song titles can be dragged from the library over to the notepad too which is ideal if you need to credit the request to a particular guest (or blame them!). The loop function is particularly versatile. The usual auto loops of 1, 2, 4, 8 and 16 are there, but you can also loop manually using 'in' and 'out' buttons which means you can choose any phrase or section to loop. 6 cue points can be placed on a track and saved for future use. This feature enables you to analyse a track beforehand, identifying crucial points and save them for your performance. There is also a video version of UltraMixer 4 available which plays karaoke files and facilitates live text. A downloadable trial version is available here. Once downloaded, be sure to pick the pro DJ version. You can test the program as often and for as long as you want (for 1 hour intervals) before purchasing the full licence. The trial version has all the features of the full version enabling you to test it to its limits before buying. Do you ever wish that the 'Now Albums' would come out more frequently? Are you currently buying the best chart hits separately? 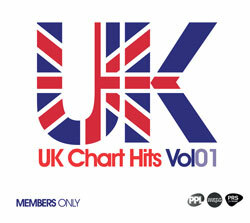 CD Pool have the answer with their new subscription service, 'UK Chart Hits'. The monthly CDs are compiled from the latest chart hits, thus ensuring your music is always up-to-date. Each CD has a bonus mix lasting approximately 15 minutes giving ample time to skip to the loo, pick up a drink from the bar, check in with your client and still be back to the decks to cue the next track. Already a best seller on Amazon (for more information see top right), this book is packed full of practical and useful ideas for developing and marketing your mobile disco. Three lucky entrants will receive a printed copy signed by the team at AMPdj (and Hank himself). Can't wait to win it? You can purchase a copy right now from the AMPdj Goodie Store . 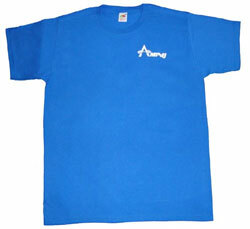 Fruit of the Loom T Shirts with the AMPdj logo are available from the AMPdj store. Three lucky winners will receive a T shirt in their choice of M, L, XL or XXL. The competition is now closed. We had a record 577 entries so thanks to everyone who took part. The AMPdj Goodie Store is open for business. Including the paperback edition of DJ Hank's Best Selling book. For more information on any of the products featured in this competition simply click on the images (left). Peterborough - Open evening Tues 3rd December 2013. Inspiration Sound & Light, Manceter Square, PE4 6BX. From 17.00-21.00. Special offers, mince pies, beer & a chance to meet the reps.